Who makes the best inexpensive lawn mowers for small yard? Every yard owner needs a lawn mower to keep the lawn always looking great. However, there are so many models available on the market, each of which has its own disadvantages and advantages. We have experienced and researched a lot of models to pick the 9 best inexpensive lawn mowers for small yards. Reel lawn mowers have a number of advantages. Since reel mowers don’t have motors and machines inside, they are cheap, lightweight and very quiet compared to electric/gas mowers. They don’t emit toxic gases that are harmful to you and the environment. In addition, doing your yard work with a reel lawn mower might improve your mood and physical health. However, reel lawn mowers are not suitable for big yards that have thick and tall grass. The mower would get stuck easily, making you exhausted before getting the job done. American Lawn Mower 1204-14 is a simple but effective tool for mowing lawn. It’s compact and lightweight that a small woman can easily handle it. The smooth-spinning blades and easy-roll wheels provide smooth and quiet operation. The tempered alloy steel reel and bed knife blade provide clean and precise cuts. American Lawn Mower 1204-14 has a small 14-inch cutting width and limited cutting height adjustments, 3 levels from 1/2″ to 1 3/4″. American Lawn Mower 1204-14 is suitable for cutting cool-season turfgrasses but not for thicker, tougher, and especially wet grasses. American 1204-14 is an affordable but great reel lawn mower that’s suitable to small yards. Greenworks 25052 allows you to choose between mulching function and rear bagging function. You can switch to rear bagging in order not to interfere with new growth when having a thick layer of grass or seeing some funguses on the grass. You can switch to mulching to leave your clippings on the lawn, which will break down and become nutrients. Greenworks 25052 has a wider cutting path than the American 1204-14, which gets the job done quicker and saves your time and effort. It also has more height options, 4 levels from 1 1/8″ to 2 1/4″. In terms of drawbacks, like the American 1204-14, Greenworks 25052 also does not work well when the grasses are thick, tough, and especially wet. And of course, with more features, Greenworks 25052 costs more than American 1204-14 a little. American 1204-14 is a great 2-in-1 reel lawn mower for small-to-medium yard work. When it comes to a large yard, a reel lawn mower would not a good choice. Instead, you might want to consider between a corded electric lawn mower and a gas lawn mower. When being compared with gas-powered lawn mowers, corded lawn mowers have some advantages, such as no emission, no fuel cost, less noise and maintenance required. However, corded lawn mowers are less convenient as you have to mind the risky tangled electric cords all the time while using them. 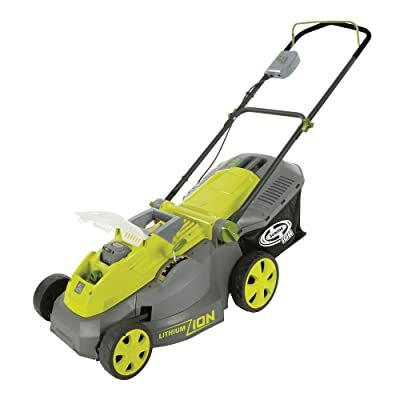 Sun Joe MJ401E Mow Joe is an ETL-approved corded mower that’s guaranteed to meet the North American safety standards. It’s simple and high-quality. Despite being a compact and lightweight machine, Sun Joe MJ401E Mow Joe has a good power that you can use it to clip all kinds of grass. The cord is 100 ft length that gives you the ability to handle a yard up to 1/4 acre. There are three different levels of cutting height from 1.18 – 2.52 inches. All-terrain wheels make it easy to maneuver to and from all types of grounds. And the 10.6-gallon hard-top rear bag is convenient for clippings storage. However, the cutting width is quite narrow that would take you some time to finish the yard work. Sun Joe MJ401E Mow Joe is a simple and effective corded electric lawn mower. 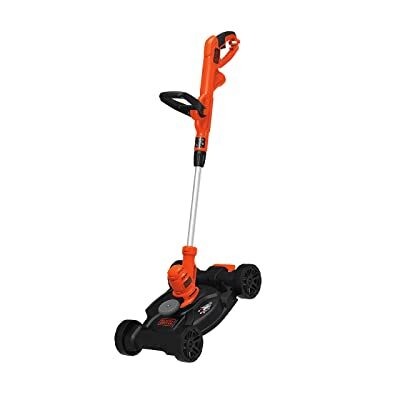 You can easily convert BLACK+DECKER BESTA512CM from mower to trimmer to edger, making it a versatile tool for all types of gardening tasks. You can use it as a grass mower at fully assembled. Remove the deck to use it as string trimmer. And finally, rotate the trimmer head to use it as an edger. BLACK+DECKER BESTA512CM has Automatic feed Spool and Cord retention system let you continue working without worrying about the electric cord. It’s very compact and lightweight that you would barely break a sweat when doing your yard work. The adjustable handle adds more comfort and control. However, BLACK+DECKER BESTA512CM is not so powerful and just has limited cutting wide and height. So it’s only suitable for small yards. BLACK+DECKER BESTA512CM is a versatile tool that can handle many types of work for a small yard. A cordless lawn mower is another great choice for medium yards, which is more convenient than a corded mower but in return, less powerful and has a limited battery time. Inside the big Greenworks 16-Inch 40V Lawn Mower is a powerful engine that uses G-MAX 40V 2Ah Li-Ion Battery to provide you up to 60 minutes of continuous runtime. The mower has a wide cutting width of 16 inches, 5 levels of cutting height that can be adjusted by an easy push of a single lever. The 2-in-1 feature lets you choose between rear bagging and mulching option. The patented SMARTCUT Technology provides you with clean cuts from turfgrasses to thick and wet grasses. With all the great features, Greenworks 16-Inch 40V Lawn Mower deserves to be the best overall cordless lawn mower. 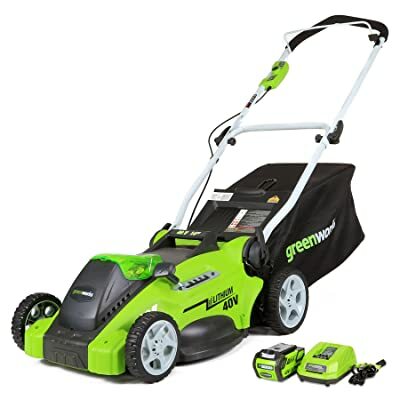 Greenworks 16-Inch 40V Lawn Mower is a great choice for those want a convenient and capable cordless lawn mower. If you have a very large yard and want a cordless lawn mower that can run for more than an hour continuously, Worx WG779 would be a great choice. It has a Twin Power Share module that uses two 20V 4.0Ah batteries for extended runtime and a max power of 40V. Besides, Worx WG779 also has a 2-in-1 mowing feature that you can choose between mulching or bagging. The Intellicut technology provides extra torque power on-demand when you need it for perfect mowing. However, Worx WG779 is heavy and has limited cutting wide and height, which are drawbacks to consider. 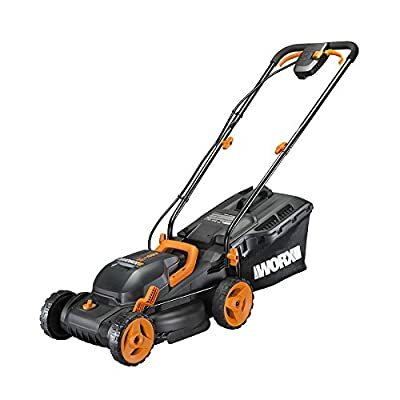 Worx WG779 is a high-quality cordless lawn mower for long hours of yard work. A 9.25 gal grass bag collects more amount of grass and clipping. You’ll know when to empty the bag through the grass indicator window. Sun Joe iON16LM is featured with a brushless motor that has a longer lifetime than normal motors. The motor is quiet, smooth, and energy-saving while operating. In fact, besides the ETL certification, the mower meets the standards of Energy Star certification – a set of standards for high energy efficiency. Sun Joe iON16LM also has good power – 40 V, a wide cutting width, and 6 levels of cutting height. 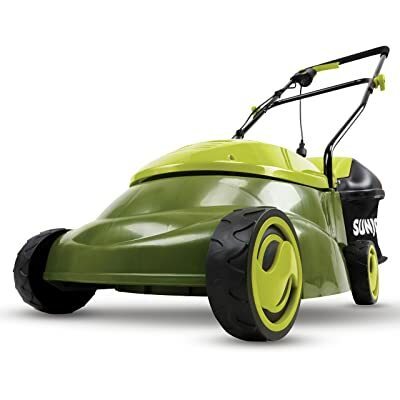 Sun Joe iON16LM is an energy-saving and smooth cordless lawn mower for those want a big discharge bag. Gas lawn mowers tend to have the most power compared to other types of mowers. They move faster, don’t get clogged, and can cut a higher, thicker and tougher layer of grass. You can also cut wet grass using a good gas lawn mower. This type of mower gets your job done very smooth and quick, saving you a lot of time and effort. However, gas lawn mowers are very loud and they do emit harmful gas. You should choose a gas lawn mowers when you have a large yard with thick and tough grass. Husqvarna 7021P has a GCV160 engine inside as the power plant. Honda engines are well-known for their high-quality and long lifespan. Honda GCV160 providing 160cc of consistent power that is suitable for medium yards with a medium thickness of grass. Husqvarna 7021P has great features for easy operation. It has a padded handle with height adjustment ability for a comfortable grip. The handle can be folded down for easy storage and portability. The rear wheels are bigger than front wheels for easy maneuverability. And 3-in-1 cutting system lets you choose the perfect discharge style fitting your lawn. However, there is a big drawback that each wheel height is adjusted separately, making height adjustment really inconvenient. 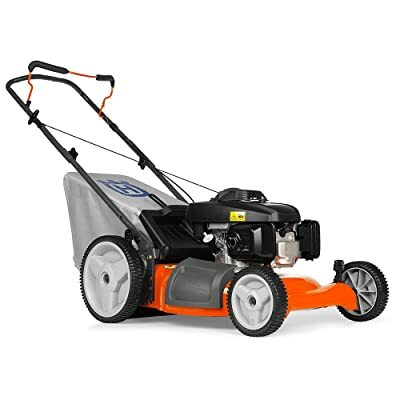 Husqvarna 7021P is an easy-to-use gas lawn mower for medium yards. A self-propelled lawn mower is perfect to get you rid of hesitations and lets you enjoy yard work. After being started, Troy-Bilt TB220 can move forward on its own, thus you don’t have to push the lawn mower and save a lot of your energy. The features on Troy-Bilt TB220 are pretty the same as the Husqvarna 7021P. 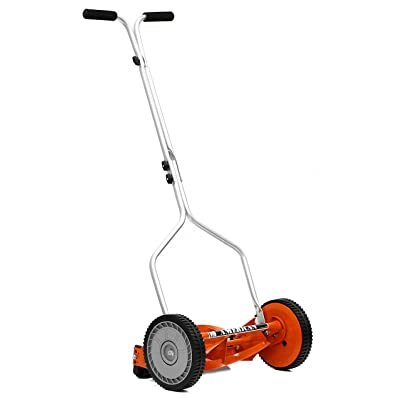 You’ll have 21-inch cutting wide, 3-in-1 cutting style, 160cc engine, and foldable handle. As an advantage, Troy-Bilt TB220 has a Dual-lever for easier height adjustment. A big drawback of Troy-Bilt TB220 is that its many parts are made of plastic, which makes the machine easier to get damaged. In return, this makes the mower lightweight and affordable. 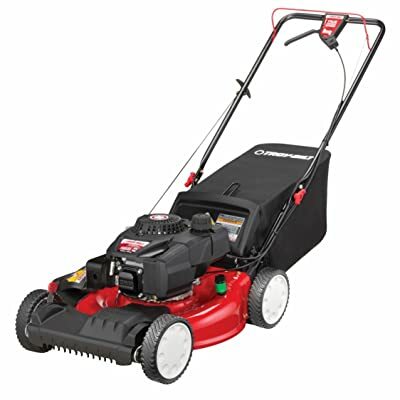 Troy-Bilt TB220 is an affordable but great choice for those want a gas self-propelled lawn mower. First, you have four types of lawn mowers to choose – Reel mowers, Corded mowers, Cordless mowers, and Gas mowers. Scroll up to see the advantages and disadvantages of each type. 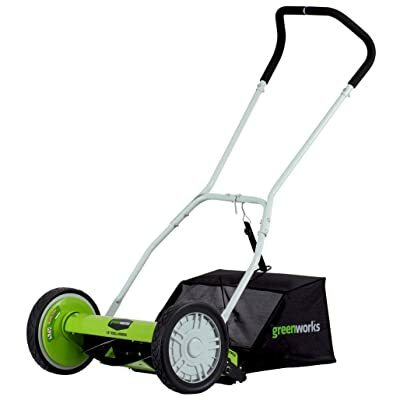 For Inexpensive reel lawn mowers: American Lawn Mower and Greenworks. For Inexpensive corded electric lawn mowers: Sun Joe and BLACK+DECKER. For Inexpensive cordless lawn mowers: Worx, Greenworks, and Sun Joe. For Inexpensive gas lawn mowers: Husqvarna and Troy-Bilt. How long does it take to cut an acre of grass with a lawn mower? The time needed depends on your mower cutting width. A typical 16” mower would take about 2.5 hours to cut an acre of grass. How long should a lawn mower battery last? Not only lawn mowers’ batteries, batteries of all household appliances should last at least 3 years. Can you use a cordless electric lawn mower in the rain? Yes, you can. A typical cordless lawn mower would be water-resistant and has enough power to cut wet grass. However, there’s no reason to do so. Wait till the rain stops and you will save a lot of effort. What time should I cut the grass? You should cut your lawn between 8 AM to 10 AM. It’s the time when the dew on the grass has dried and the sun is still not too hot. How many times a month should you cut your grass? If you can, try to cut your grass once a week. And remember not to cut more than one-third of the grass’s height. Is electric lawn mower better or gas? Electric mowers are quieter and more environment-friendly than gas mowers. However, gas mowers are more convenient and more powerful. When it comes to a very large yard, a gas mower would be more appropriate. Otherwise, an electric mower would be a better choice. Do electric mowers need oil? No. You don’t have to lubricate electric mowers. Do electric lawn mowers use a lot of electricity? Not much. It’s $0.50 per half-acre to a corded electric push mower and $0.10 per half-acre to a cordless electric push mower. Above are my full review of the best inexpensive lawn mowers for small yard. Hope the information in this article will help you find the suitable lawn mower!